Just yesterday I learned a lesson about entering work in a writing contest. 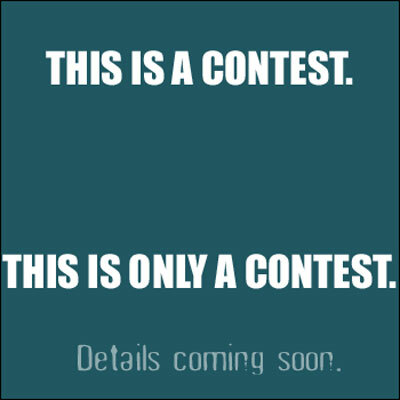 I’ve never, until recently, submitted any of my stories or poems to a contest. For many years, I sat high in my equine saddle and claimed that because writing is an art form it should therefore not be demeaned by way of competition. Forget the fact that painters yearn to place their up and coming masterpieces inside studios in Beverly Hills and Manhattan. Ignore the fact that art museums are little more than factories for snoots and chic locales for romantic dates meant to lure a partner into bed. Deny the rude reality that the Pulitzer and the National Book Award, not to mention the Newbery and the Caldecott, boost sales for an author, illustrator and publisher. Avoid at all costs the woeful taint of commercialism. After all, Van Gogh struggled in obscurity and sliced off an earlobe for sake of his ART (oh ART, my ART, the Angels in Heaven weep to know my ART!). Yes, I, AVT, shall never yield so far as to admit that I am a pedestrian whose footsteps stain cracks that fracture mothers’ backs. But yield and admit I did this time round the block. I entered two stories and more into a contest held by an online writers critique group. Two nights ago, I sat tapping my keyboard until three o’clock in the morning, putting the finishing touches on a story. I laughed as I wrote this tale. I liked what I wrote. The story owned what I considered to be a happy ending; and I don’t write many happy stories. At almost 4:00 am, my time, I submitted the story. At 7:00 am I checked the online board to discover that indeed my story was there for all to see. But with my name attached to it; this fact effectively eliminated my story from the competition. I felt dismayed, disappointed and frustrated. But not at all angry, because immediately I realized that the person who posted my tale had made a mistake. A mistake, plain and simple. Of course, like every other human being, I make mistakes each and every day of my life. So there was no anger to be savored, no blame to be assigned. So how should I absorb this experience so as to make it a useful one? Should I return to my snooty pedestal and tell myself “I told you so”? No, I’m too old and gray for that bit of nonsensical self-pity. Will not work. Should I attempt to deny my sense of bafflement and defeat? Just go back to bed and erase the occurrence by way of a self-induced, pleasant dream? No again. I cannot erase my mind any more than I can erase the ones and zeros from one of my computer’s hard disks. So okay, then. How did I reinterpret this accident of fate? I rediscovered the notion that the truest purpose of any writers contest is to encourage writers to write, not to declare winners and losers. Next, I sat down and held onto a paper copy of my story and read it out loud, to myself. I read the story as if I were trying to entertain an audience greater than me. I used accents and tones of voice. I waved my hands, Sicilian style, as I spoke. And I decided that I was glad I entered the contest, because the contest set a deadline for me to compose a story that to this very moment I still like. Even more than that, I’m still laughing as I write this anecdote. Soon enough, I’ll post that contest story here so that maybe one more person can read it and chuckle.